Welsh Labour's leader has said an assembly candidate who wrote online that he hopes Margaret Thatcher will die soon has learned a "severe lesson". 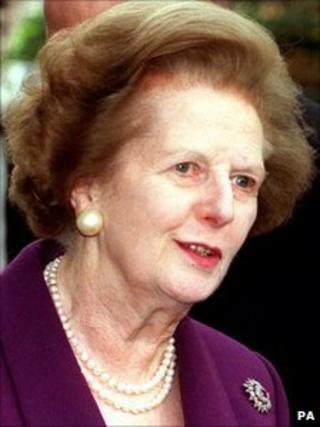 Among his postings in 2010, Mr Lock placed a link to a Facebook group called Is Margaret Thatcher Dead Yet? with the comment "can't be long, fingers crossed". Mr Lock said: "These were stupid comments and intended for friends, but that is absolutely no excuse." He added: "I accept completely that I should not have made these comments and I apologise unreservedly to anyone I may have offended. "I have offered a personal apology to Welsh Labour, the local party and to Carwyn Jones for any embarrassment I may have caused." Speaking on the campaign trail in Barry, Welsh Labour leader Carwyn Jones said: "He has been reprimanded. "They were comments that were made before he was a candidate. He's a young man and he will have learned a very hard lesson." Asked if the party should have checked the candidate more thoroughly, he said: "In these days of Facebook and Twitter it can be very difficult to do that. But Joe, as I said, is a young candidate and he has learned a very severe lesson. "He realises that what he did was very silly and it's important of course that we now move on and he understands that there is no room for these kind of comments in the future." A Conservative spokesperson said the comments were "grossly inappropriate for an assembly candidate". "They are offensive, abusive and completely unacceptable for anyone seeking public office. "There is no place in politics for extreme remarks that appear to incite violence. "The Welsh electorate will expect Carwyn Jones to distance himself from these comments as soon as possible, and take all appropriate action." Welsh Labour said the comments were made before Mr Lock was made a candidate in the assembly election. "These comments are totally unacceptable and we have issued Mr Lock with a formal reprimand and a warning about his future conduct which he has accepted," a spokesperson said. "These comments may have been made in jest when Mr Lock was a student, but youth and naivety are no defence for what are clearly inappropriate remarks." Mr Lock, who has taken time off from being a mature politics student for the election, was given the unanimous backing of the Ynys Mon Labour party to be their candidate at a meeting in February. Plaid Cymru said Welsh Labour leader Mr Jones needs to "immediately distance himself from the offensive comments". A spokesperson said: "Having been actively campaigning with Joe Lock in recent months, it should be a matter of considerable concern and embarrassment for the Labour leader. "Using this type of language is certainly not appropriate behaviour for a candidate seeking elected office and we know that people in Ynys Mon will find these comments by the Labour candidate extremely offensive. "The Labour leader needs to investigate this matter immediately and ensure that the party apologises to the people of Anglesey for their candidate's behaviour."